Online shopping is savior especially for people on the move. But it’s more than just convenience, it can be your chance to get great stuff at an unbelievingly low prices, your chance to try out a new look every time you shop without the hassle of going around the world for it. So while online shopping might just seem as easy as click, click, click; my experience says like any other form of shopping, online shopping’s also an art. If you know how to go about it you can actually get great stuff and great savings too. 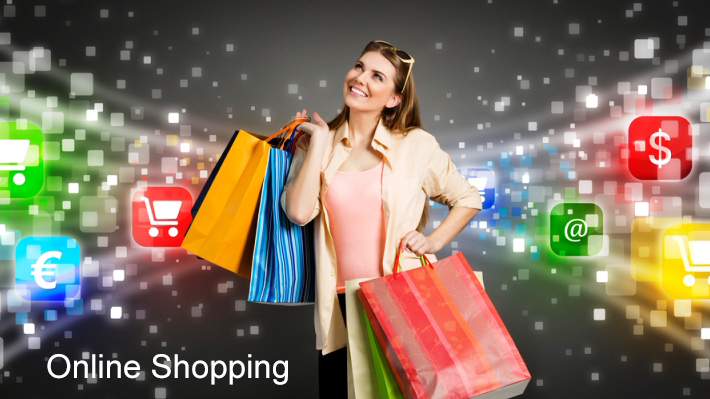 Here are a few tips to help you make the most of your online shopping. Irrespective of what a lot of people might tell you, I would suggest experiment. Experiment with new brands, new products, new looks; you have the choices available, there’s huge variety at your disposal and the best part is if you do not like it you can always return it. There’s a discount available on almost all brands, throughout the year. Look for coupons on the Internet. You’ll find a plethora of options in terms of deals and discounts available. Shopping with discount coupons is the smartest way of shopping. Why pay extra for the same product when a discount is readily available. If you are shopping for apparel take your body measurements (chest, inseam, waist, hips etc.) and keep the size list handy. Do check size chart for each piece, as size charts for brands might be different. If it doesn’t fit you can always return it, but why buy something for returning in the first place? It’s wise to check size charts first. One of the best parts about online shopping is that there are customer reviews and descriptions available. Gone are the days when retailers put fake reviews to get a good word going for their products. With social media being hyper active and customers being super expressive about their experiences, no retailer can take the chance of faking it. Reviews and descriptions can actually help a lot in making a sane buying decision. As far as I think “returns” is the best part of online shopping. It’s easy, hassle free and very convenient. All you need to do is keep the bills and papers safe when your products arrive. That way you’ll just be doing a simple formality and the retailer will have your merchandise picked from your doorstep. There are so many stores, brands and choices available that you can actually get confused. The best thing to do is download and app. the GeoQpons app for instance does not restrict your choices to any one store, it gets you choices from over 300 stores and thousands of brands along with the best discounts available on the product of your choice. Save money more than you spend it while shopping. Not just online shopping, GeoQpons app gives you access to in-store discounts also and using geofencing it tracks your location, provides you sale and discount information at a store near your current location. When it comes to savings and smart shopping, it just doesn’t get better than this.